I don't remember how I discovered Lizzie Stewart. 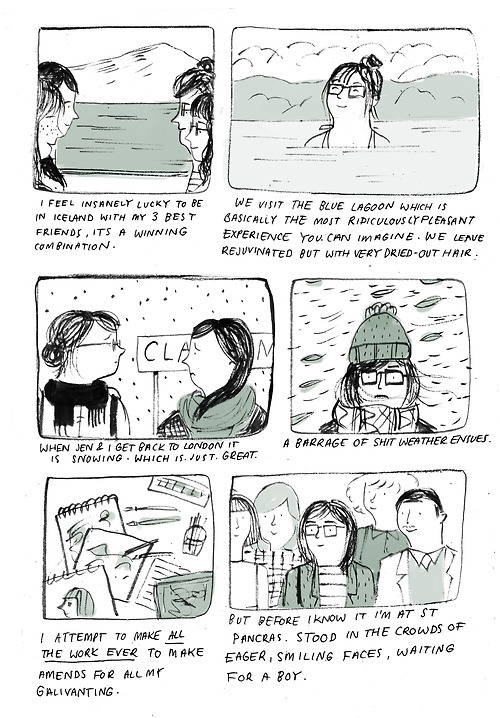 It was the early part of last year - I followed her beautiful illustrated diary, Solo, every day throughout 2012. Now her diary has taken a slightly different turn. 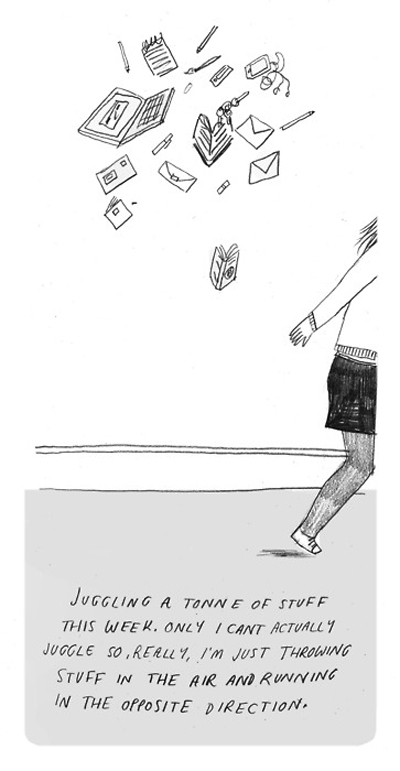 It's still illustrated (and appears to be taking frequent trips to Brussels, thanks to a very nicely-sketched boy), but now Lizzie compiles her drawings are throughout the month and makes them into zines, which you can buy. I'm loving Lizzie's Brussel's adventures at the moment. 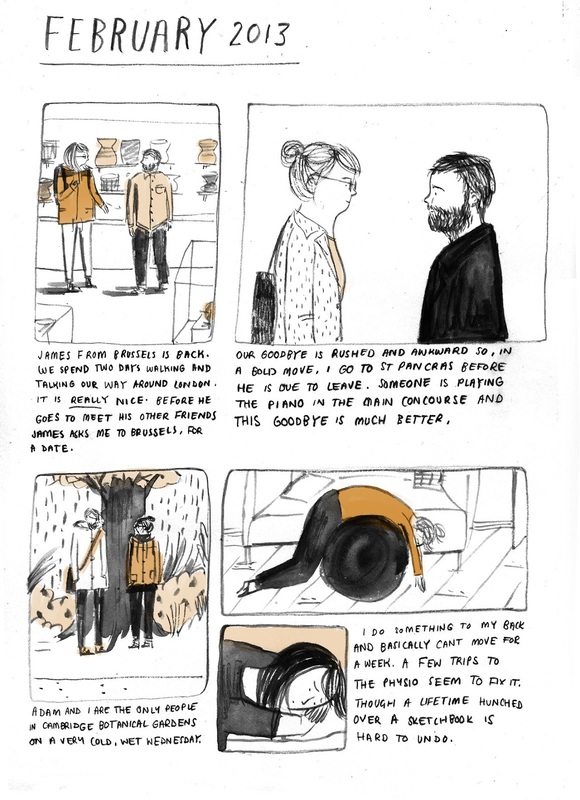 There's something really interesting about getting a direct insight into an artist's work - Lizzie's drawings are an immediate reaction to what's going on in her life (last year she drew a very sad break-up). It feels like overhearing a conversation that you shouldn't. 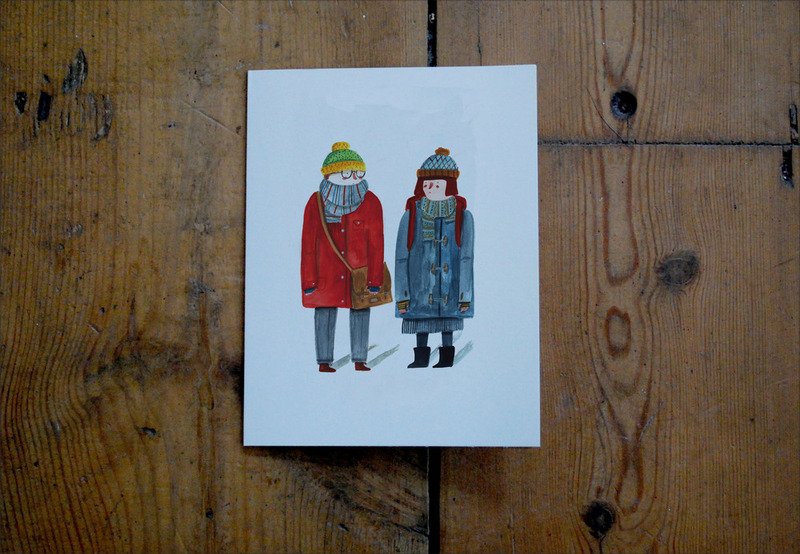 You can buy some of Lizzie's work - the limited edition zines, some greetings cards (for £2!) and gorgeous prints like this red house. I've learnt from her illustrations that Lizzie likes dancing in her kitchen, has lovely housemates and sometimes gets sad but trains often cheer her up. I feel a little like I know the girl behind her drawings, and the more I read, the more I like her. And she has an excellent satchel selection. I really like the new direction that Lizzie's diary is taking, I think she has a real talent for making the mundane interesting. Nothing will quite make my cackle at my desk today as loudly as this illustration. I really should go and pick up all of the stuff up off the floor. Isn't it lovely? But I think that's the thing about Lizzie's work - sometimes not very interesting things happen. Sometimes it's just a photo of Lizzie sitting on a train and looking out of the window. She takes great pleasure in the little things and I think that's really special.